At Heaven on Earth you will experience Pure Bliss. Enjoy walking into a salon without the hustle and bustle of an assembly line. You can expect our highly trained “Angels” (the staff) to give you superior, personal customer service the moment you walk through our doors. 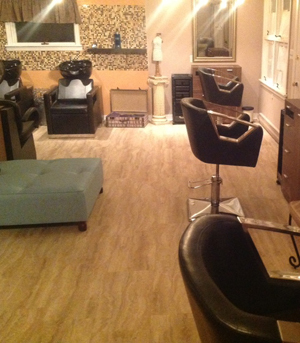 Our salon offers lavish products and treatments of the highest quality. At Heaven on Earth we put Emphasis on quality and old-fashioned service. We know and understand the importance of customer service because we’re very attentive and listen to our clients. That’s why we are considered by many to be the best in the Pocono mountains. We are licensed hair styling specialists, but we don’t just stop there. We have over 10 years of professional hair care consulting experience with L’ Oreal USA. We do it all, including cuts, color, weaves, locks,and everything in between! We do hair of all kind and textures – as a multi-ethnic hair salon, we specialize in finding the look that suits your face, hair, and texture! You can choose to indulge in hair care, nail care, massage therapy, eyelash extensions, facials, and waxing or just unwind and de-stress in our beautiful prayer and meditation room. At Heaven on Earth you will relax, be pampered and indulge in the latest treatments. Our salon offers modern luxury with exquisite charm and relaxation. We will provide you with the most efficient, friendly service around. Come and experience Heaven on Earth today.